Whenever Jhessian Thief deals combat damage to a player, draw a card. I guess that my quandry is that most of the 1/1s you have already have built-in evasion. These are the only ones that you have that don't (discounting Timestream Navigator because it's not there to attack). 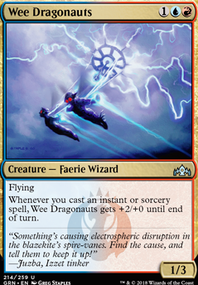 A quick gander at EDHREC shows some cards that are crazy when paired with Tetsuko. Jhessian Thief, Marchesa's Infiltrator, Scroll Thief, Ophidian, Eternal of Harsh Truths, Thalakos Deceiver, Thopter Spy Network. Usually, cards like Clip Wings and Crushing Canopy are considered a little too narrow - there are plenty of games where they'll just sit in your hand and do absolutely nothing. I'd recommend running some fight spells like Prey Upon, Pounce, and the like instead. 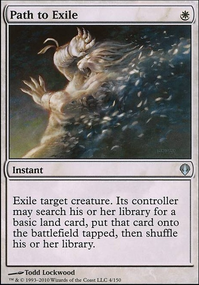 Also, I would recommend running 1-mana ramp creatures like Llanowar Elves and Elvish Mystic instead of the slower Ulvenwald Captive Flip. Rampant Growth effects are also an option. Finally, Ingenious Skaab is, frankly, a really bad card. 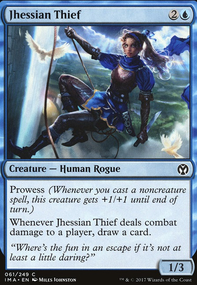 If you need the 3-drop prowess creature that badly, Jhessian Thief is a much better option. In any case, I hope this helps! Good luck! Cold-Eyed Selkie instead of Jhessian Thief, same mana price in a mono-blue deck. You can pump her up for great card draw. I used Jhessian Thief in my version because you can easily make her Unblockable. That means you get to constantly draw cards, which frees up other spots you used for card draw. You can then fill those spots with Burn/Counter spells. Cool, thanks. 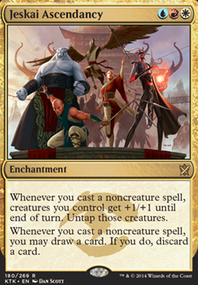 Also, do you think the Sleight of Hands and Serum Visions are enough, or should I use something like Jhessian Thief? I'm mostly curious about your wincon other than potentially raising a mini-army of drakes and constructs off of your permanents. 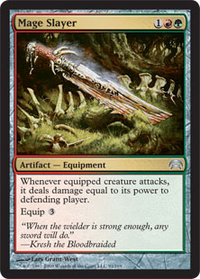 I feel like, perhaps with something akin to Surrakar Spellblade or Jhessian Thief to put pressure on opponents, you'd have some better survivability. I'm at least surprised not to see Archmage Ascension and Mystical Tutor since it fits your theme so strongly! I love your deck! I am a fan of decks that run flavorful cards over powerful cards, this is the most fun and satisfying way to build a Commander deck in my opinion. 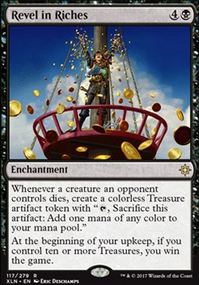 I mean, you don't play Commander to have the strongest deck but to have the most fun deck and get to play with your favorite cards from Magic's entire history you've always wanted to see shine. I hope I could give you some inspiration. I am also thinking about building a similar Sygg deck, but probably won't happen because I can't afford building multiple Commander decks at once.